A modern, versatile and premium inline sliding door solution. • U-Value (Double Glazing) – Single Doors are calculated using EN ISO 10077 – Part 2, 1000mm x 2180mm Single Door with Ug: 1.0 W/m²K using AW604 outerframe and AD200/AD201 vent. Double Doors are calculated using EN ISO 10077 – Part 2, 2000mm x 2180mm Single Door with Ug: 1.0 W/m²K using AW604 outerframe and AD200/AD201 vent. 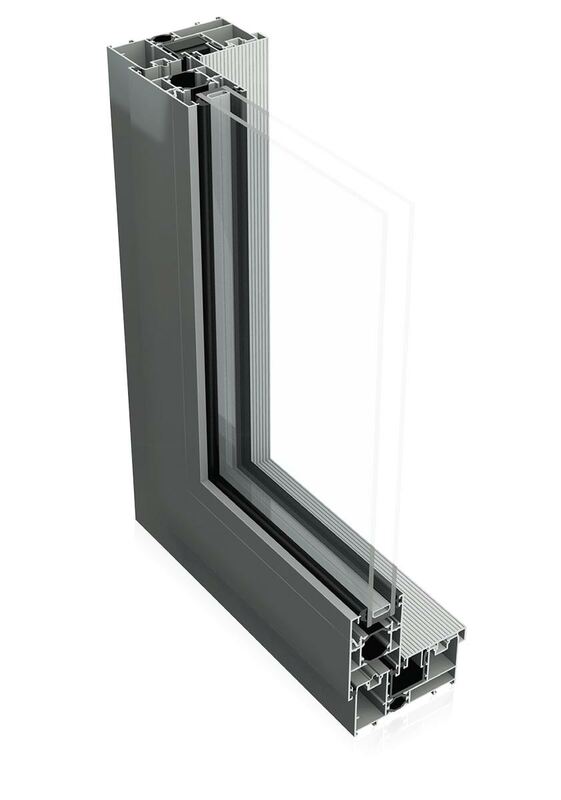 † U-Value (Triple Glazing) – Single Doors are calculated using EN ISO 10077 – Part 2, 1000mm x 2180mm Single Door with Ug: 0.7 W/m²K using AW604 outerframe and AD200/AD201 vent. Double Doors are calculated using EN ISO 10077 – Part 2, 2000mm x 2180mm Single Door with Ug: 0.7 W/m²K using AW604 outerframe and AD200/AD201 vent. The ALUK BSC94 is a premium product that offers superb features and benefits. With thermal U-Values of 1.5W/m2K (triple glazed), panel weights of up to 400KG and sightlines as little as 45mm this sliding door is packed with advanced and innovative features. Offering a versatile design that is available in a range of sliding configurations with single, dual or triple track systems you can create a sliding door design that is unique to your project needs and requirements. Using high quality aluminium, they can accommodate 20mm – 31mm of double glazing offering minimal frame work to benefit from stunning views. Featuring high quality fittings and hardware, the sliding door is durable and promises a smooth operation every time. They are powder coated with a rich and weather resistant coating that offers exterior protection against the elements. Available in over 200 RAL colours, you can select a shade that best suits your project needs and complements the interior design. The ALUK BSC94 sliding door offers a contemporary solution and modern aesthetic. Created using premium quality aluminium, they are flexible in design yet highly robust and strong. 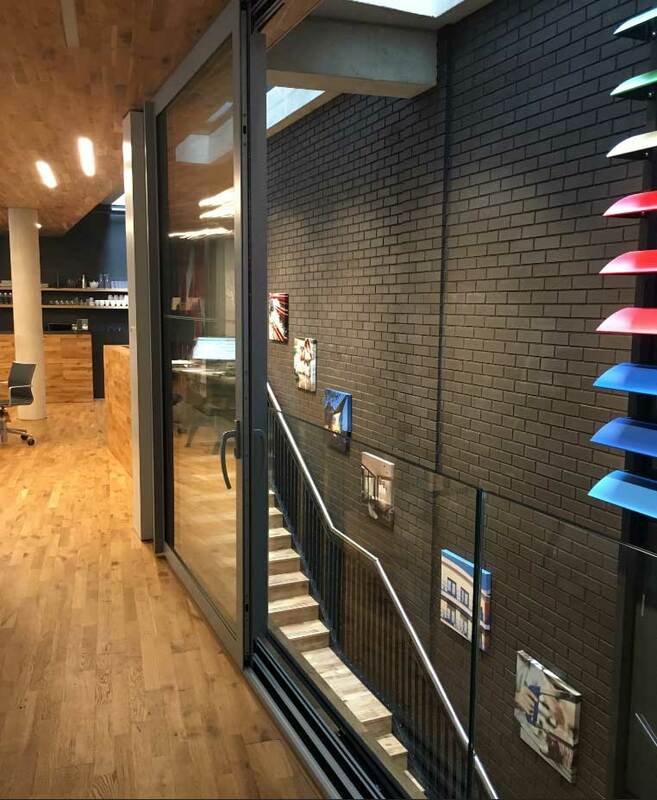 With the ability of having large glazing areas to benefit from unobstructed and uninhibited views, the sliding door is an excellent solution for both residential and commercial projects. 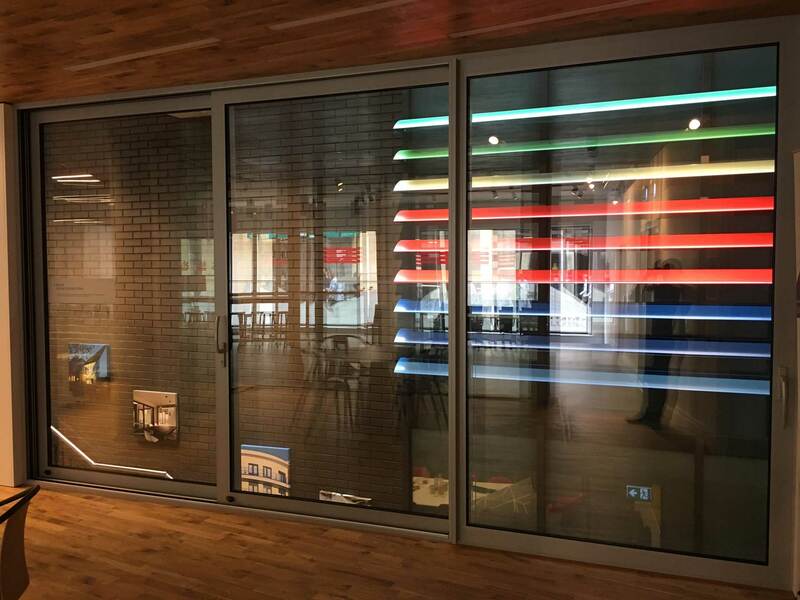 Take a virtual tour around our showroom which gives you an insight into the products we provide with samples and profiles on display. To visit us why not get in touch today? Take a look at what the ALUK BSC94 sliding door has to offer with our videos below. We have videos for a number of our products. If you have any questions at all, don’t hesitate in getting in touch. The ALUK BSC94 sliding door design allows you to specify and design the most suitable solution for your project. Whether you are implementing sliding doors into a residential property for ease of access to the outdoors, or you’re installing sliding doors into a commercial property such as a restaurant or office, the ALUK BSC94 model is adaptable and versatile. 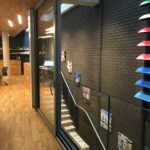 There are in-line and lift and slide options, multiple track configurations, a large range of hardware and door styles to choose from, a variety of colours to select from, high quality finishes and more to provide a perfect solution for your project. You can create a unique sliding door style that is bespoke to the property you are applying it to. Whether you select a small two-panel sliding door or a large six-panel sliding door, the choice really is yours. The strong aluminium frame can accommodate large glazing areas for breath-taking views and increased natural light to enter the building. With no need for swing space, the sliding operation is simple and easy to use. You can select the dual or tri-rail sliding door option with each panel having the possibility to slide behind the other giving you more floor space. You won’t need to worry about swing space with our ALUK BSC94 sliding door design that is intelligently designed with modern fixtures and fittings. Take a look at our product brochures which contain technical specifications and other information that you can download and view offline. Our ALUK BSC94 sliding doors are high quality, modern, versatile and visually appealing. Making them stand out from traditional sliding doors include the slimline design, increased security and excellent U-Values as well as weather resistance. You don’t have to compromise on form over functionality with the ALUK BSC94 sliding door model. With an operation that is familiar with traditional patio sliding doors, each panel is set within the frame and slides to the left or right. You can choose from single, double or triple track doors with double or triple glazing. The ALUK BSC94 sliding doors are available as two, three, four or six panel sliding doors meaning that they are suitable for a range of project types whether you require a small opening or something larger to accommodate more traffic or larger widths. They are available with a standard 85mm mullion or 45mm slimline option depending on your preference. All of our sliding patio doors are security tested and highly weather resistant, capable of keeping your property safe and secure. You are well protected from the elements and even adverse weather conditions with tough and robust glazing that keeps moisture out and heat in. You can contact us today for a free quote for your front door today. 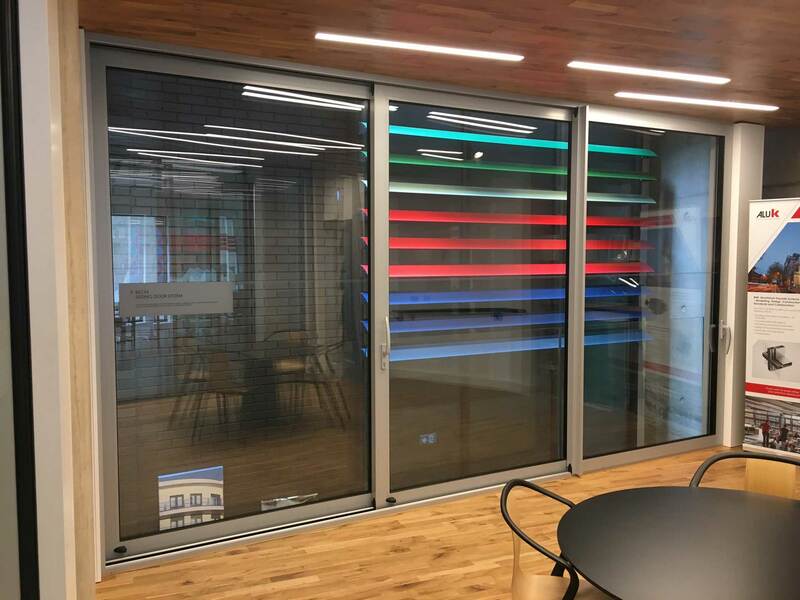 Whether you’re looking for the ALUK BSC94 sliding door to be implemented into a residential or commercial project, we can assist. Simply visit our contact page and fill out our online contact form. A member of our expert team will be able to answer any questions you may have. We are happy to recommend or advise on the most suitable products for your needs and requirements. Are heavy sliding doors hard to operate or open? The lift and slide doors offer easy operation and convenience with easy to open sliding panels that are sat behind the frame. A turn of the handle lifts even the heaviest door so that you can operate it safely and easily time and time again. Do the sliding doors offer good ventilation? There is inbuilt ventilation intelligently incorporated into the design as standard for when the doors are shut. Opening the doors for increased ventilation during the summer helps to regulate air flow and maintain a comfortable and enjoyable atmosphere. 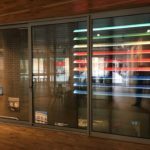 Are the sliding doors thermally efficient? Our ALUK BSC94 sliding door are incredibly thermally efficient, with thermal U-Values of 1.4W/m2K (triple glazed). They offer high levels of performance and guarantee to continue performing for years to come even after heavy or frequent use.